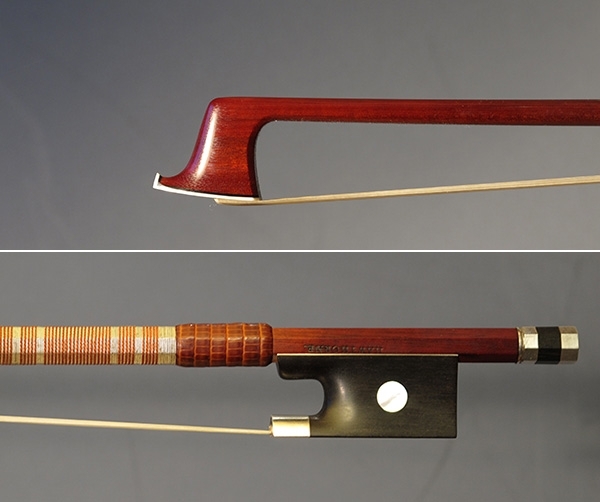 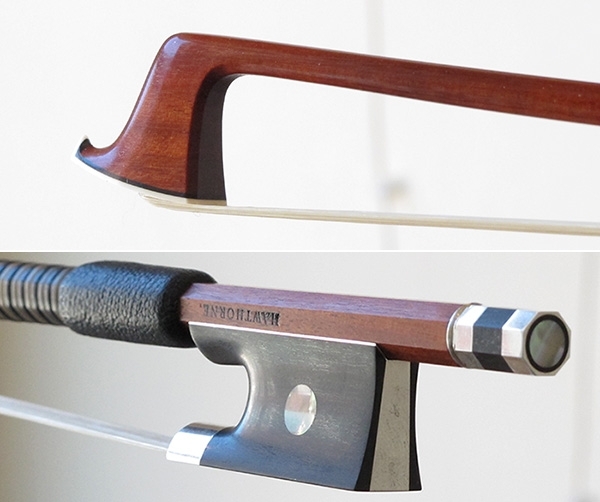 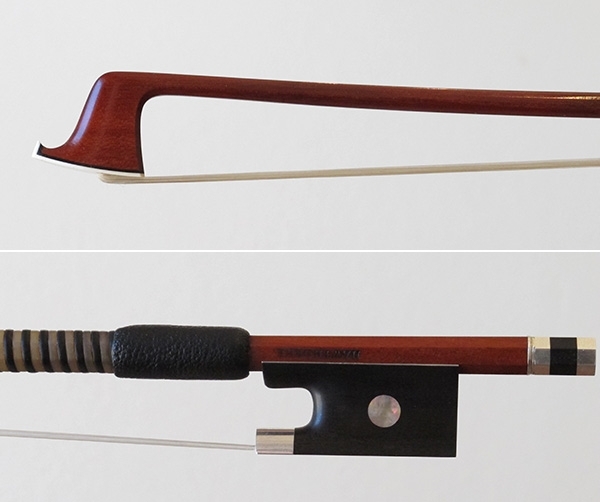 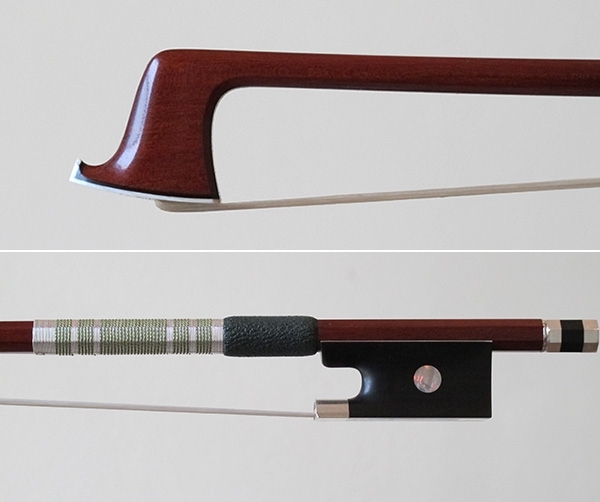 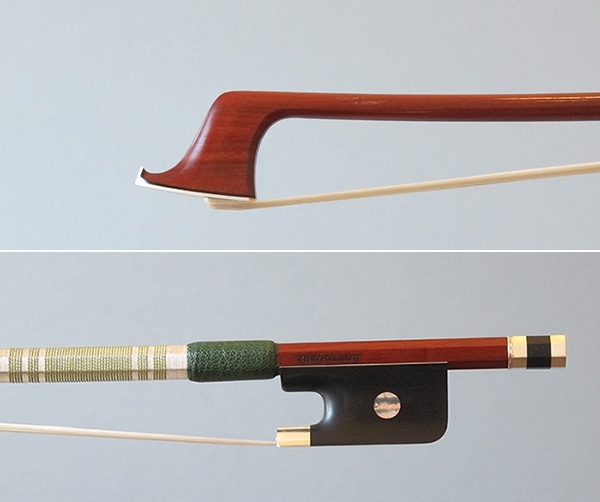 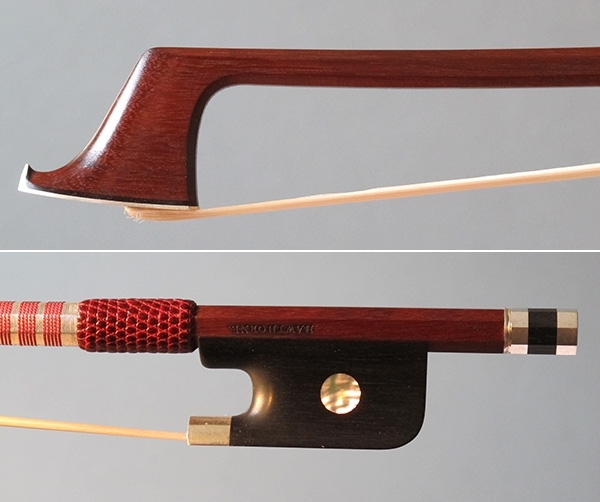 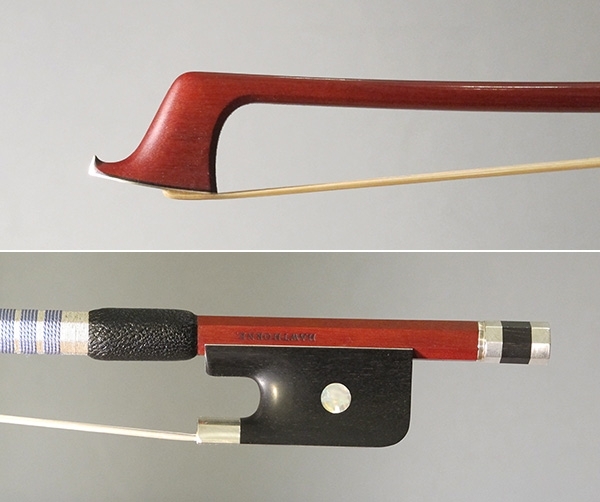 My aim, as a modern maker is to reproduce the style and playing characteristics of classic early 19th-century bows of from the age of Tourte, Lupot, Persoit, and Pecatte. 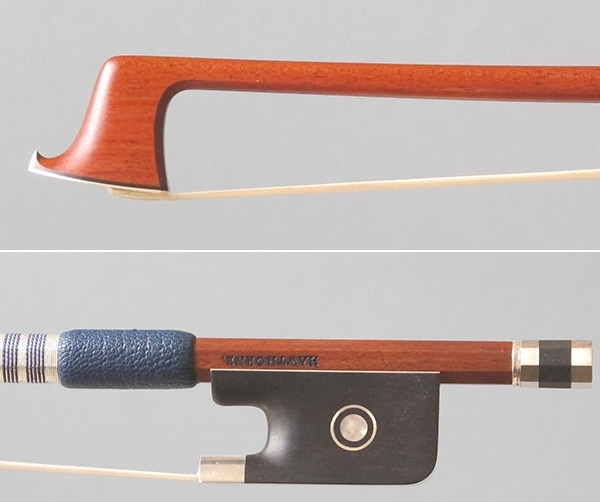 My focus is rare among modern bow makers: while most modern bows are designed to emphasize a certain feeling of stability that can often yield an overemphasized stiffness and lack of nuance, my bows cater to those who enjoy the flexibility, more elegant articulation, beautiful tone, and expressive variation afforded by the great original French makers. 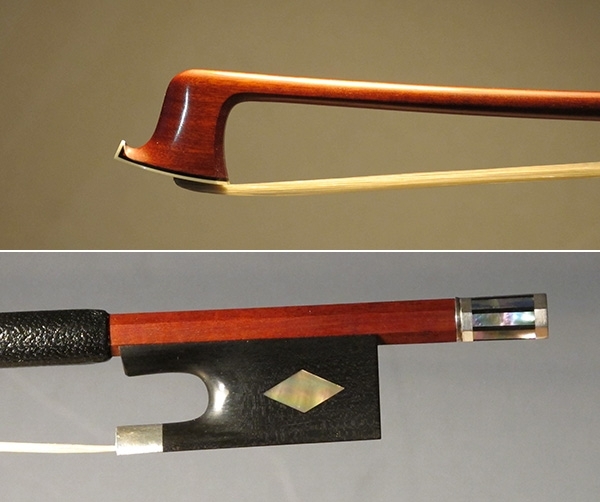 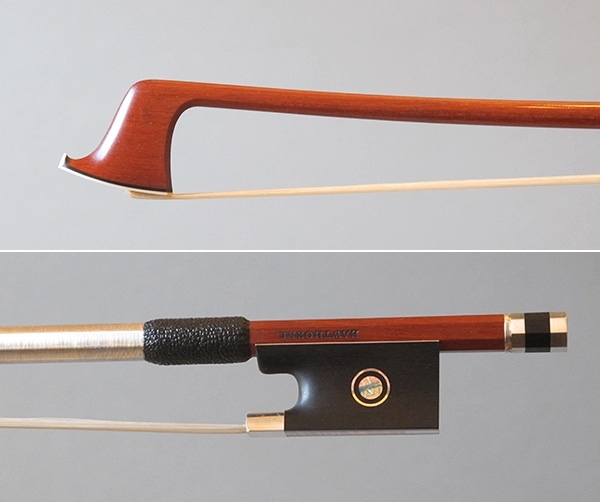 I have spent years examining and playing a variety of styles of classic bows. 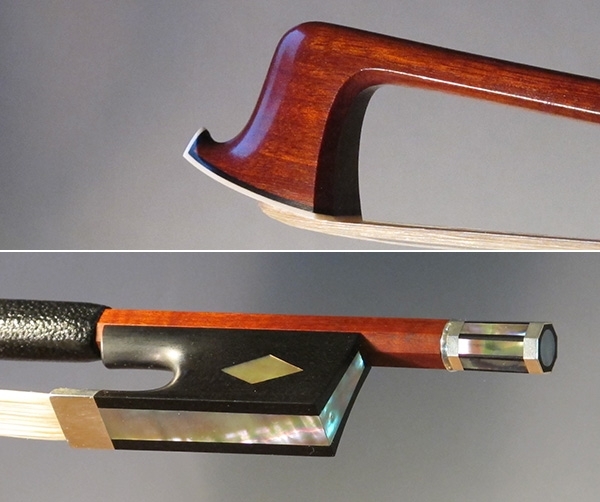 They are of constant interest and exploration, and I believe that my expertise in this area informs my craftsmanship.